Nick Pretorius www.naboomrekenmeesters.co.za Buddy Web Design To get my website finish - the areas "under construction"
Ophelia Richter www.marietjieprinslooproperties.co.za Kwikwap I will attend this training session as a refresher and will then also do 1 on 1 training. It was a nice small group with and attendees had ample time to ask questions. All clients were shown where to get hold of their Kwikwap consultants, who their consultants report to (Kwikwap License Holders) . We helped Kholofelo Kolanisi to ask for a new Kwikwap Consultant since the person who sold her a website is no longer full time involved with Kwikwap. In the process the feedback system of Kwikwap was covered where compliments, complaints and suggestions can be given. Clients were advised to arrange for a follow up meeting with their respective Kwikwap consultants especially where they did not receive the original training from the Kwikwap consultant. It was explained that it is very difficult to give the same level of training in a group training session attended by 10 people. Clients were shown where to find the Kwikwap Tutorial and the Kwikwap Introductory video. Amongs others the importance of using the right words were explained , especially in headings. The content editor and working wth tables and images were discussed. Clients were shown the different divisions of the Kwikwap system. Clients were advised to make use of the inhouse revamp specialist, being www.butterbee.co.za and www.sureweb.co.za . Google Places were introduced and clients advised to take the 5 minutes to register their businesses with Google Places. Clients were shown how to do practical cheap benchmarking by studying the websites found on page 1 and 2 of Google for search terms they would like to be found for and to pay particular attention to the quality of the website text. 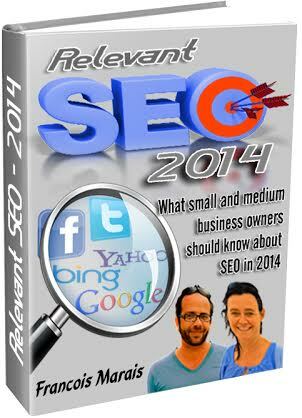 Clients were advised to make use of the free resources available on www.seobook.co.za .